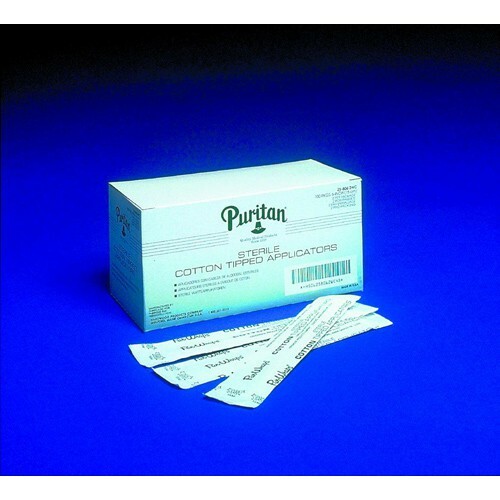 Cotton Tipped Applicators are medical swabs that are widely used for diagnostic specimen collection, wound treatment and to apply medication. These versatile medical swabs come with wooden shafts or plastic shafts. 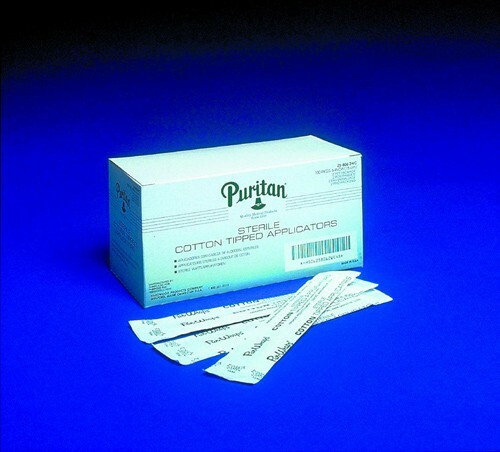 Manufactured by Puritan Medical Products, these medical cotton swabs are available for sterile or non-sterile applications. 258032WC - Sterile Cotton Tipped Applicator, 3 Inch Wood Shaft, Wrapped in packs of 2, 100 packs per box, 10 boxes per case, 2000 total cotton tip applicators. 258061WC - Sterile Cotton Tipped Applicator, 6 Inch Wood Shaft, Wrapped Individually, case of 1,000 total cotton tipped applicators. 258062WC - Sterile Cotton Tipped Applicator, 6 Inch Wood Shaft, Wrapped in packs of two, 100 packs per box. Sold by case – 1,000 unwrapped applicators per box, 10 boxes per case, 10,000 total applicators. Are these plastic shafts hollow? We do not employ any medical professionals and therefore cannot answer any specific questions regarding this item. It's best in this case to contact the manufacturer of the product for specific information. Would not be without them. I use the for applying ointment to wounds…a terrific product. I bought these so I could apply a medication to a open wound on my mothers legs. They have a long enough shaft that I can control the swab. the cotton tip seems to work fine also. Use to use Curity but these are just as good. I tried these out vs another similar product and ended up liking these way more. The ends are more tightly woven so perfect for cleaning or prep work. They were shipped quickly, too, which is nice. I've been using the Purtan 3" wood cotton tip swab for years...always handy...easy to use, and can be purchased in just the right quanity. On these cotton tipped applicators the cotton appears to be more tightly wound than others and the sticks are more sturdy than others I have used. I am a medical technologist by profession. We use this medical swab to collect samples from patient and it works great! Transferring bodily discharge from collection cup to glass slide? You will need this! It's just perfect for cleaning your ears. The texture is really soft so you barely feel pain while cleaning. Since it's versatile for both sterile and non sterile usage, it's also possible to use it for applying some sterile ointments. Also thanks for fast shipping!